Whilst we were still in the year 2012, I made a resolution to lose weight and adopt a more consistent exercise routine in 2013. 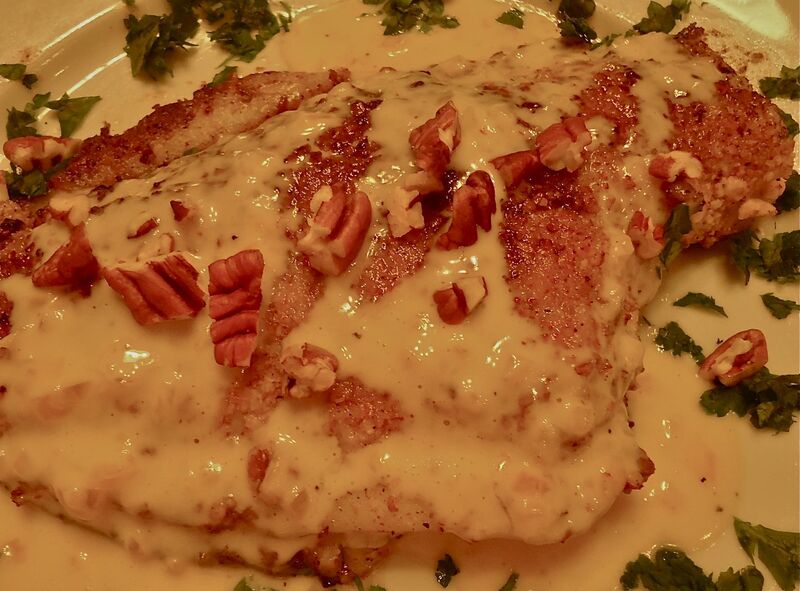 But before that promise was to come to fruition, I decided to indulge in one of my favorite entrees, a fish dinner swimming in my absolute favorite, decadent butter sauce – lemon buerre blanc. 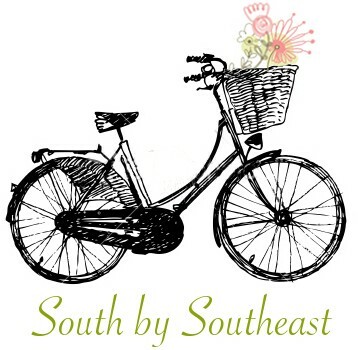 Setting off to my local fish market (The Sea Eagle Market here in Beaufort), girly girl and I made a purchase of local flounder and two pounds of fresh, locally caught shrimp. Girly girl likes to check out all the whole fish lined up behind the counter, watch the fish mongers furiously clean and slice the whole fish, and most importantly, counts on getting a quarter for the candy machine every time we stop here. Now flounder (similar to sole and turbot) is a delicate fish, perfect for a hot pan sauté. 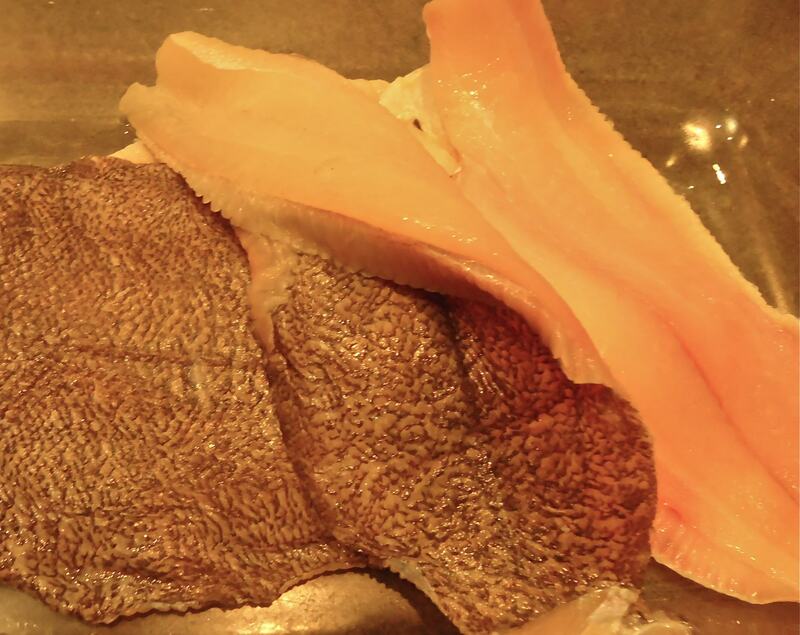 And as I am proud that my 5-year-old loves salmon, a rather oily, very “fishy” fish, I can count on her liking flounder too, so I was satisfied it would fit into my dinner plan. The fillets at the market were just the right size, reasonably priced and as I noted above, locally caught. My version of a French classic: Prepared Southern-style with flounder and pecans! I remembered that I also had at a bottle of decent champagne (the real stuff) in the refrigerator (it had been there a while!) and it should be perfect in the sauce. So once I sent Dear Hubby out for some pecans (ran out during the holidays), I was all set for a “final meal” worthy of sending out 2012 in style. Fresh flounder fillets, washed and dried. They are firm (but flexible), NOT slimy and do not have a strong fish odor. Fresh fish! I’m sure ya’ll know what pecans look like, but I thought these were especially nice ones and you can see the chop size. 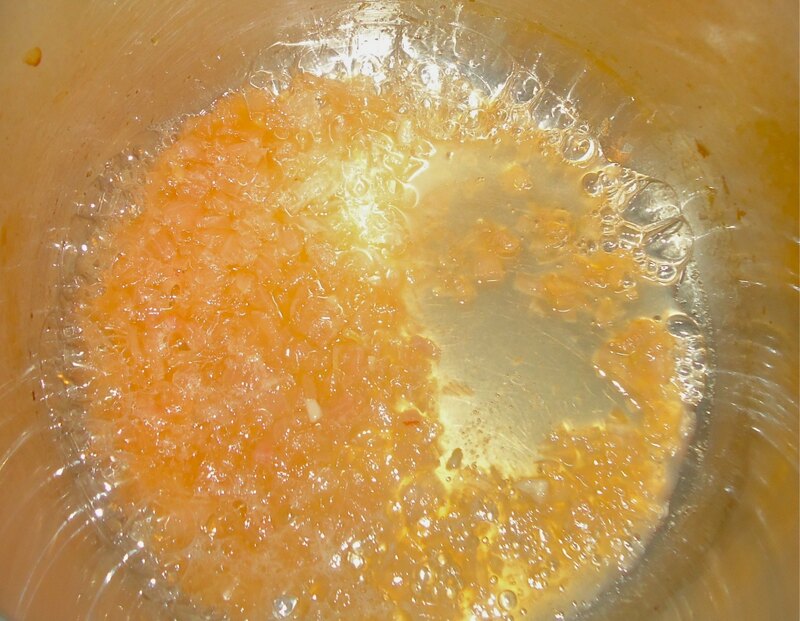 Cook down the shallots in the “champagne” and the lemon juice to concentrate the flavors. 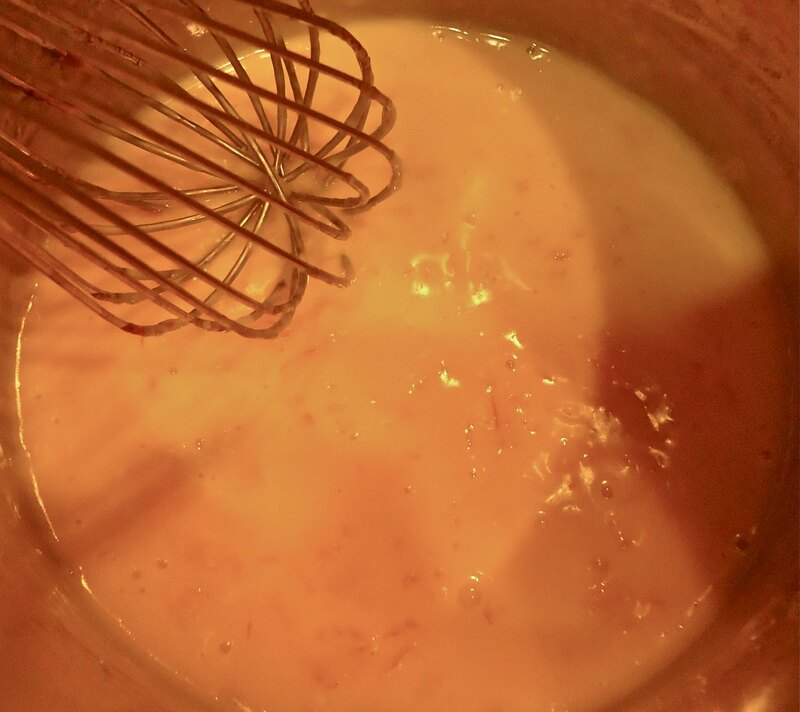 After adding the cream, whisk in the butter 1 tablespoon at a time. Adjust the heat on the stove as necessary – do not allow the mixture to boil! Yes, it uses a lot of butter…but that’s why it is so decadent! Dredge the fillets in the pecan/flour mixture just before sautéing. Sauté the flounder fillets in hot, melted butter on both sides until browned and cooked through. Do not overcook! Remove the fish to warmed plates and cover while sautéing all the fillets. Here’s another shot of the finished plate. This was MY plate – notice all the sauce! More than a drizzle…better to soak up with some good French bread! In a small saucepan combine the shallot, wine, and lemon juice in a non-reactive saucepan over high heat and reduce to about 2 tablespoons. Lower the heat slightly and add the cream to the reduction. Bring heat up to just under a boil and then reduce heat to low. Add butter one tablespoon at a time, whisking continuously. Keep whisking until all butter is incorporated. 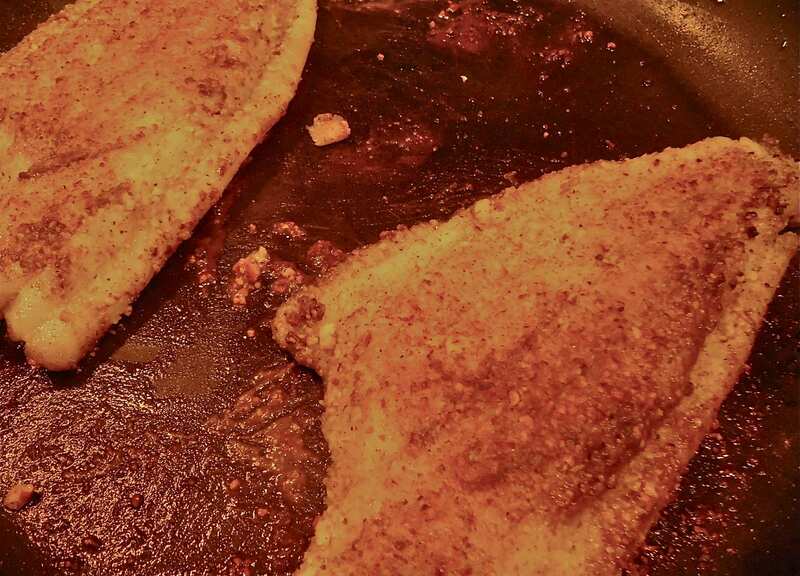 Keep sauce warm on a heated pad or stove-top (stir occasionally) while you cook the fish. 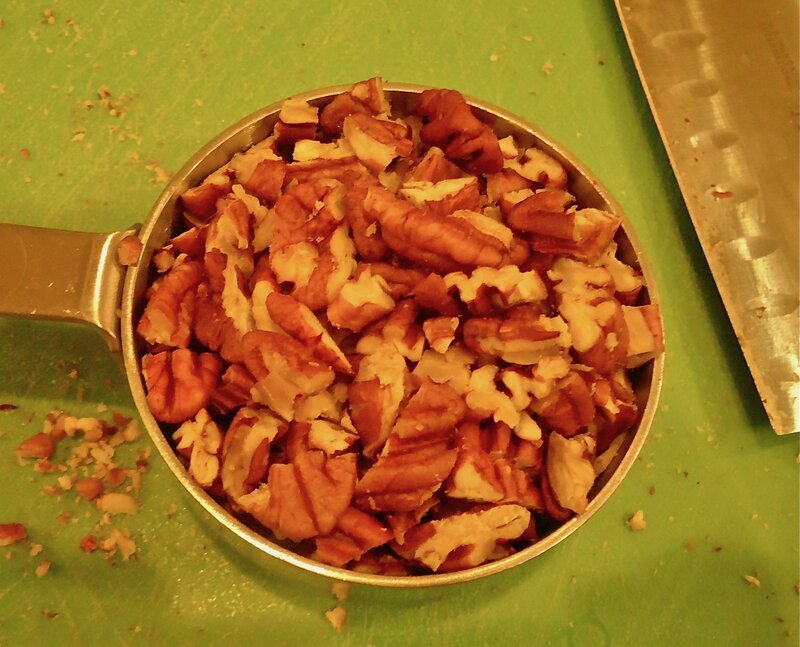 In a food processor or blender grind about ¼ cup pecans to a fine consistency. Reserve the rest of the pecans and set aside. 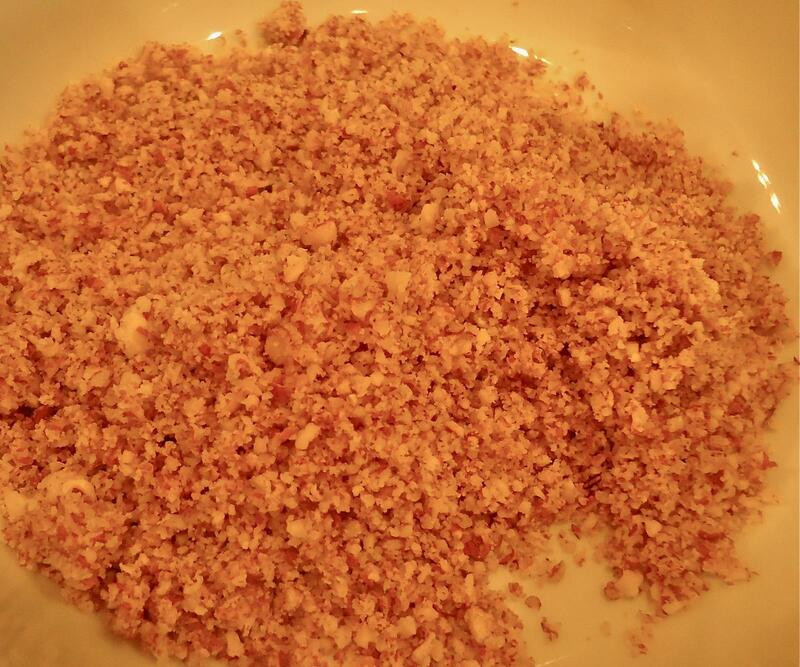 Mix the ground pecans in a small bowl with the flour, ½ tsp salt and pepper. Transfer this mixture to a flat plate or platter. Meanwhile heat 2 tbl butter in a sauté or fry pan until hot (but not smoking). Drizzle oil over all the fillets to coat. 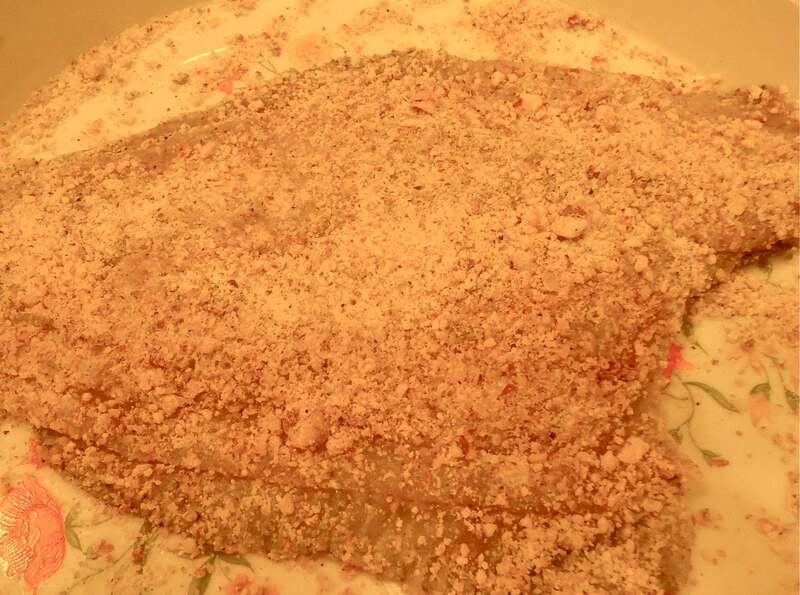 Dredge the flounder fillets in the ground pecan/flour mixture on both sides and place in the hot butter cooked about 3 minutes per side. Sprinkle with just a little salt and pepper. You may need to cook the fillets in 2 batches. Remove to a warmed, covered plate while you finish up cooking all the fillets. 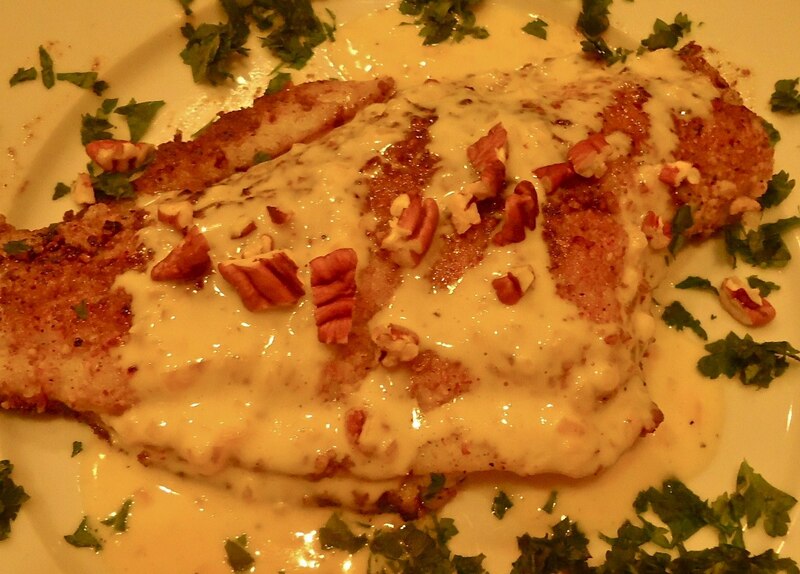 Serve fillets with the warm beurre blanc sauce drizzled on top and a sprinkle of the remaining chopped pecans. This entry was posted in Recipes and tagged fish recipes, flat fish recipes, flounder meuniere with lemon buerre blanc, lemon recipes, recipes using champagne. Bookmark the permalink.